Unless you have literally been living under a rock for the past nine years, you will have heard of the hit TV show Luther (as if it has been nine years). The star of the show, Idris Elba, is an icon in his own right, not only in TV, but film, music and fashion also. Today we’re exploring the latter, as we put together an Idris Elba Style profile. Suits to slouchy jeans and a beanie, Elba continuously manages to achieve a level of effortless style many of us can only aspire to. 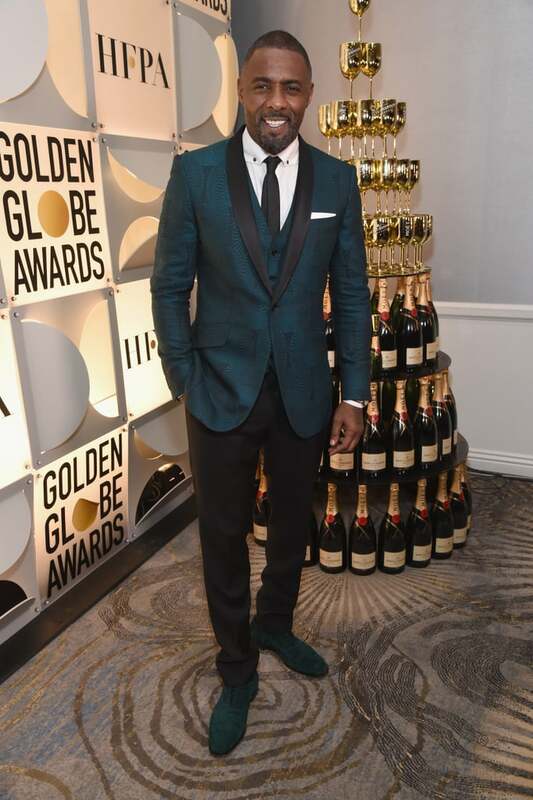 The gentleman in green for the Golden Globes: Idris Elba added swarve individuality to the “tux look”. Green, black and white were brought together defiantly in one outfit through acute attention to accessorising. Elba showed us “you can do anything But stay off of” his green suede shoes (please know the lyrical reference)! The green two-piece blazer jacket and waistcoat accompany the identical green suede shoes, providing top to toe decadent style. This time of year, you can be sure to find a decent quality dinner jacket, or indeed two-piece in the sales, especially those of a colour that often has Christmas connotations. Check out MR PORTER or FARFETCH for some fantastic winter green jackets. 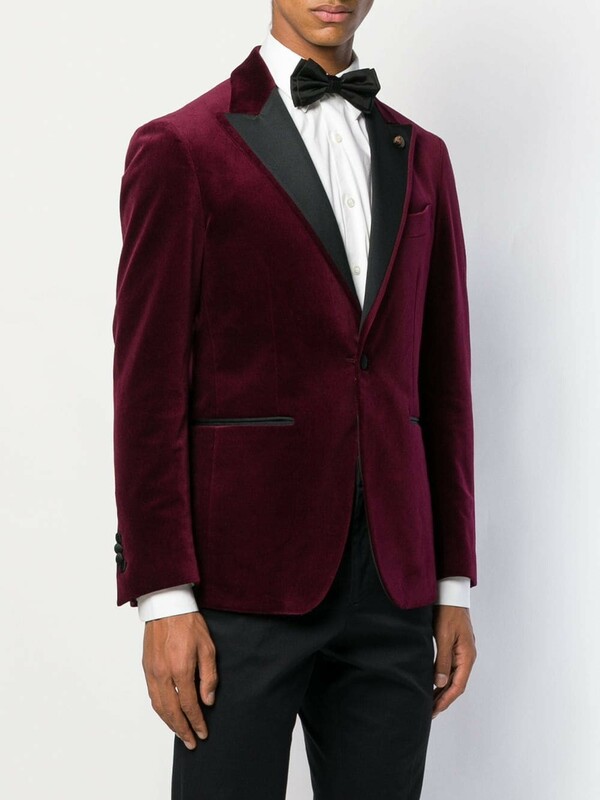 If green isn’t your colour, the Gabriele Pasini slim fit blazer in burgundy velvet with satin black lapel and buttons, is a sophisticated selection. Idris opted for black tailored trousers to compliment the black lapel and skinny tie. This breaks up the look well as we move on to Mr Elba’s footwear. Matching green shades can be tricky. However, we love Crown Northampton’s, The Earl. This versatile slip on style by the independent British shoe makers has an elegant, smooth velvet upper, with a ‘Crown and Crest’ embroidered design and is neatly edged with traditional binding and quarter tip heel finishing. A suede shoe that would undoubtedly work well with most suits. It’s absolutely worth checking out Shipton & Heneage London, home to the ‘finest footwear… The Lark full brogue really is something special. 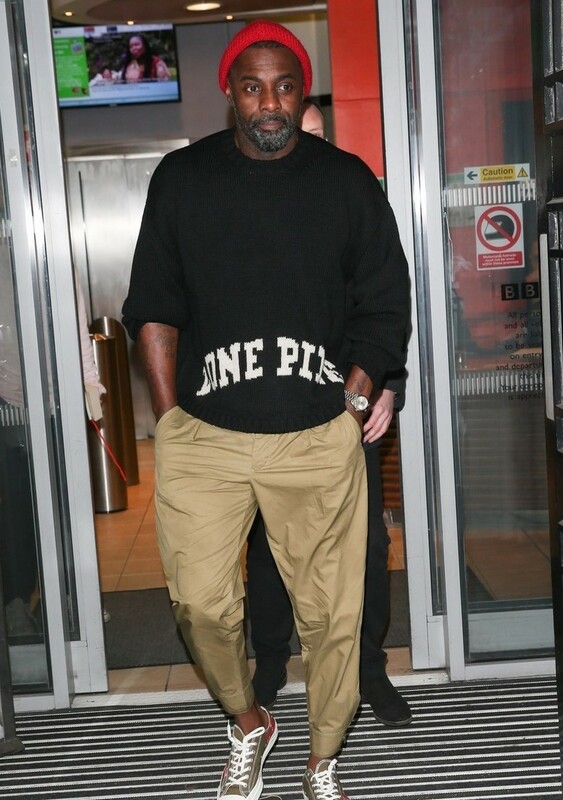 Now to the more casual cool version of Idris Elba’s style. A fantastic representation of this is his outfit for a photo call for Luther back in December. Cargo trousers, an oversized jumper, sand-shoes, beanie and statement watch, maybe I am describing the attire of every quirky artistic in London, but this polished approach is street style worthy. A brilliant pair of slim-fit, tapered, cotton-blend cargo trousers by Rick Owens are currently available on MR PORTER. These “jog” trousers combine functional practicality with fashion. 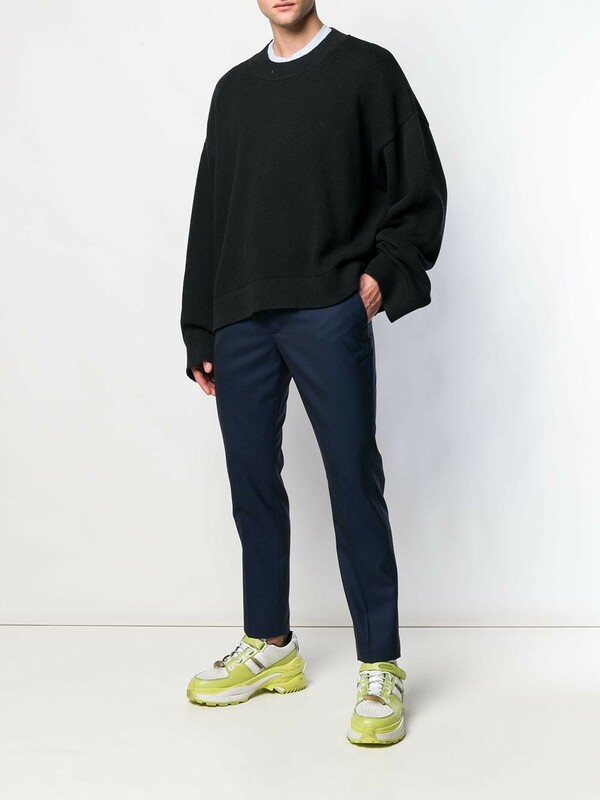 Maison Margiela’s oversized crew neck jumper that can be found on FARFECTH.com is beautifully basic but has a smart slouchy appearance: perfect to style in multiple ways. 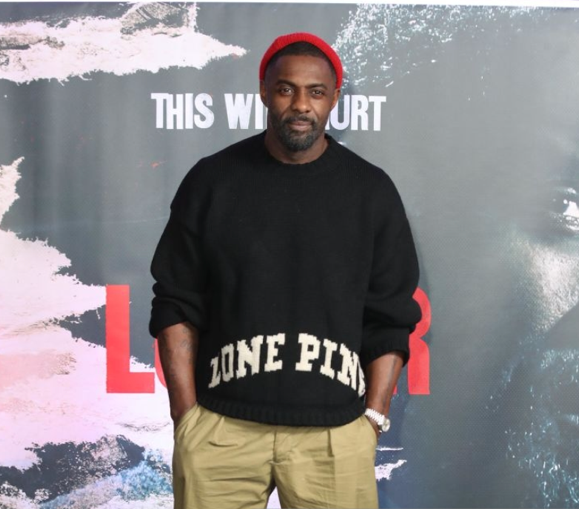 When you’re talking Idris Elba Style you can’t ignore Sneakers. 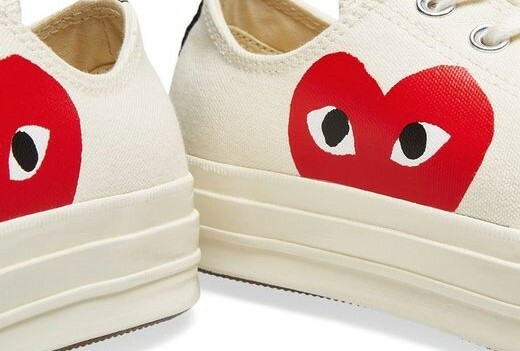 The style icon was pictured to be wearing Comme des Garcons Play x Converse Chuck Taylor 1970s Ox. END currently stock these in both beige and black. 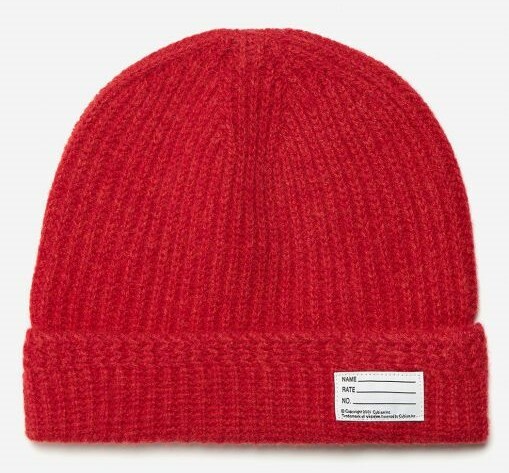 The company also offer a VISVIM Knit Beanie in a striking red colourway. Constructed using a traditional Japanese artisanal process, the statement winter hat ensures you’ll be kitted out with timeless style. Additional details such as the turned-up brim and woven name patch help elevate this piece to stand out from the crowd. With parts in Fast & Furious Presents: Hobbs & Shaw, Cats, Turn Up Charlie, and Three Thousand Years of Longing all being filmed or in post-production for Idris Elba, watch this space for his future fashion successes to lead and inspire us all. Check out more of our style profiles here.